Lot 46 Cape Tribulation Road is in the heart of the Daintree lowlands rainforest and is an incredibly special piece of land. Please help us create a Nature Conservation Reserve on Lot 46 and protect it into perpetuity. Every once in a while an opportunity comes along that cannot be ignored, that must be acted upon immediately for the future of the rainforest. Usually when Rainforest Rescue identifies important Daintree rainforest needing protection we ask for your help to purchase the property. In this instance we did not have time, the property was for sale on the open market and we had to act quickly to save it from further destruction. Rainforest Rescue did something we have never done before; we secured a bank loan to urgently save the property. Now we need to repay the loan in order to protect the property into perpetuity and create a Nature Conservation Reserve. Lot 46 Cape Tribulation Road, Diwan is a 27.66 hectare Rainforest Rescue property in the heart of the Daintree lowlands rainforest and is an incredibly special piece of land. It sits at the base of the spectacular Thornton Peak, and provides an important link between the upland and lowland rainforest. The western boundary of the property is Daintree National Park/World Heritage area. 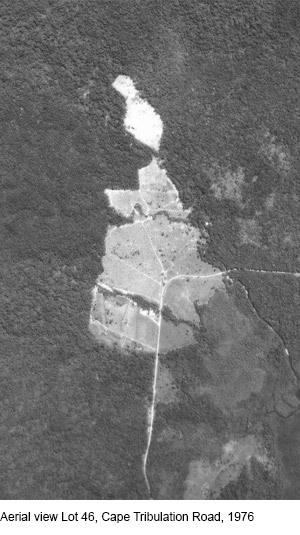 The property is of critical importance, in terms of habitat and connectivity, for the endangered Cassowary and other species. Surveys of the rainforest on and around Lot 46 have recorded 14 Rare, three Endangered and two Vulnerable species. The property includes an Endangered Regional Ecosystem and protects two important creeks that are part of the catchment area for Coopers Creek, which is one of the larger Daintree lowland creeks. It also has some remnant forest with ecological transitions from rainforest to swamp forest. We bought the property in 2010 and since then have spent 1,000s of hours on its restoration; we have planted nearly 37,000 trees that were grown in our Daintree nursery; and we have cleared more than 180 tonnes of rubbish. Back in 2010 we acted fast on the opportunity to purchase Lot 46. We have spent years reversing its destruction. Now we must repay the loan in order to continue our work and create the Reserve that will protect the 27.66 hectares of Lot 46, and the rainforest on it, forever. Please become a Guardian of Lot 46. 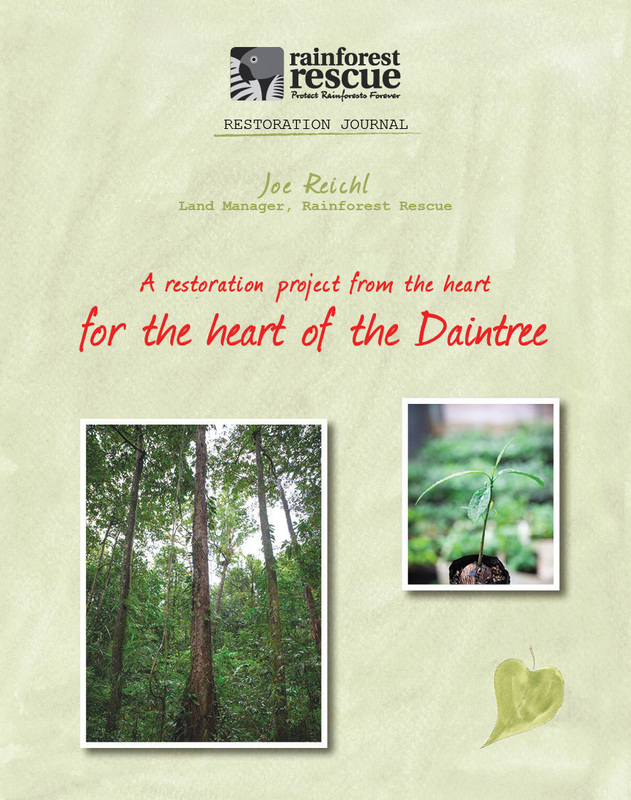 Read more about how Rainforest Rescue is restoring the heart of the Daintree in our Land Manager's Joe's Restoration Journal. you guys are doing the best job!!!! Good luck with the purchase. ALL the Daintree deserves to be protected. This donation has been made as birthday gift to Yossi Ghinsberg in support of his passion. Thank you to all of our wonderful supporters who are passionate about Protecting Rainforest Forever! Thanks for sending me brochures about cassowaries. We hope this helps care for their home. Toby (4). Doing a great job, can't wait to visit. Thanks for devoting so much of your life to this wonderful cause. Hope you can raise the full amount and protect all your hard work!! We may legally protect rainforest, not claim to 'protect forever' due to population pressure. Keep up the great work, guys. Thank you. Great results! Keep up the good work. Please keep saving our rainforest - Rainforest Rescue you rock!! !